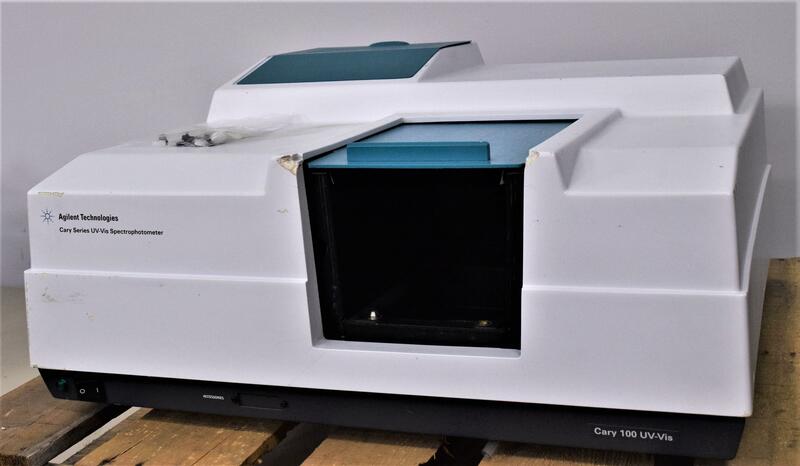 Agilent Varian Cary 100 UV-Vis Spectrophotometer Research Lab For Parts . New Life Scientific, Inc.
Our in-house technician inspected the Agilent Technologies Cary 100 Series UV-Vis Spectrophotometer and could power it on. Missing is the cell holder, the technician recommended it be sold for parts. The top part of the casing was exchanged with an older model Cary spectrometer.